DP 92 & DP 96 were on a special non stop Tower Hill to Sutton Police Station service on the 7th September. Sullivan buses have announced their gain of the 699/692 on their website, apparently using 4 buses. I'm assuming this is a typo, but if anyone knows something I don't, I'd be please to hear about it. On a separate note, just info that DN3 and DN4 have just left the fleet, whether to the scrapyard or another company I don't know. Certainly not a typo, Dean himself has stated he will be purchasing 4 buses which are rumoured to be from Metroline. Really? That's good. I presume if the vehicles are from Metroline, they'll be Presidents in some form. The two routes requires 3 buses and 1 spare between them so I'm little confused about why it would be a typo? I would have assumed Sullivan's London-complaint vehicles would be used as necessary. Ahh I see what you mean now. They already have school routes that they are used - if they could be interworked with each other, then I'd guess there wouldn't be a need to purchase extra buses. I agree, VPs are th most likely option, the VWs are a bit too new and in good condition to be sold on at the moment IMO. Certainly, I would like the VWs with Sullivan ; some newer, and in better condition, double-deckers in their fleet but that is quite a remote possibility. No MMCs for the 699 for now! 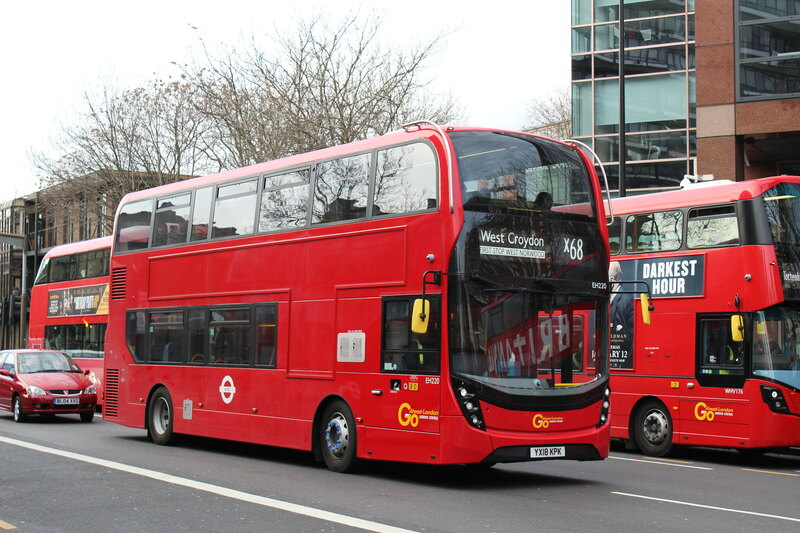 Are they permitted to start a new contract with a bus that was originally EuroIII, I know the modified ones can continue their existing contract, but can they be used for a new contract ? Not sure if you know that the VWs are awful Buses and will be next to bite the dust. They'll all be gone by the end of this year. I don't think it should be too much of an issue, given that there are only three buses being used on three return journeys five days a week only. They could also use the B9TLs against the 692/699 contract and use the older B7TLs on other routes. Bandit Triangle took on a number of Romford schools routes with ten year old Euro II B7TLs in 2010.